Time and again, you will hear an expert claim that the communication industry has come of age. Such bold statements reference the rapid rate at which technology has changed the day to day communication between individuals and businesses. The number of mobile devices in the world so far outnumbers the world population, meaning that almost everyone has taken to cell phones as their preferred communication tool. The smartphone industry has had the largest impact on how businesses conduct their internal and external communications. It has seen most companies turn to the development of smartphone applications that imitate their models of activities. These applications seek to make communication within and outside the business environment more efficient. Such advancements have only served to strangle the legacy business phone system. But does it mean that the business phone system is now obsolete? No. And most technological giants such as the VoIP developers are alive to this fact. They have, therefore, turned to tangle the legacy business phone system with the advanced technology and safeguard its relevance. But why does a business need a phone system while it can comfortably shift to the mobile systems? Here is why. Holding the recent technological advancements like app development constant, the only significant difference between the landline and the current feature phones is their portability and mobility. They all use a similar operational system whereby they are controlled at service centers. What impact does this have on the cost of communication? The difference in cost of communication between the legacy telephone systems and mobile phones is almost negligible considering that they both use similar telecommunication avenues. But the current business phone systems such as the VoIP can use multiple channels of communication such as the internet. There is no doubt that data is cheaper than airtime and that makes business phone systems more affordable compared to the current mobile phones regardless of their attractive features. In the business world, the essence of a formidable brand can never be overemphasized. And a business phone that is attributable to a particular business is one step closer to achieving a brand identity. The casualness associated with the mobile devices and mobile phone numbers cannot be relied on to promote or advance brand identity. For this reason, outgoing business calls should be made from the universal phone system. This adds credibility to the business and brand as it shows a level of professionalism in your business operations. Does this limit your services to a single call at a time? No current phone systems such as the VoIP systems allow for multiple calls to different clients over the crowd from the same business number at the same time. Mobile phones and most of their service providers can’t be relied upon for handling of internal as well as external classified business interactions. There have been numerous cases of mobile phone tapping that is minimized to some degree by a business phone system. The phone systems give you control over the communication avenue by eliminating the involvement of third party intermediaries. For instance, you can have localized phone systems for internal communications only that don’t have to go through external servers. Additionally, most VoIP business phone system providers offer VPN services that guarantee end-to-end encryption of both voice and messages transferred through their systems over the internet. The reason most business phones shied away from the legacy phone systems is because of its rigidity. They could only be accessed at the office premises and in most instances at particular office locations. But the current phone systems are more flexible and can be accessed while on the move. Their developers have come up with mobile phone applications that allow you to access your VoIP business account virtually from any part of the world. Such acts ensure that you can still call and speak to your clients while on the move with your business phone system without hurting your business professionalism. Communication is vital to any business success. But this doesn’t mean hurting your business reputation that you have worked so hard to build in a bid to reach more clients. 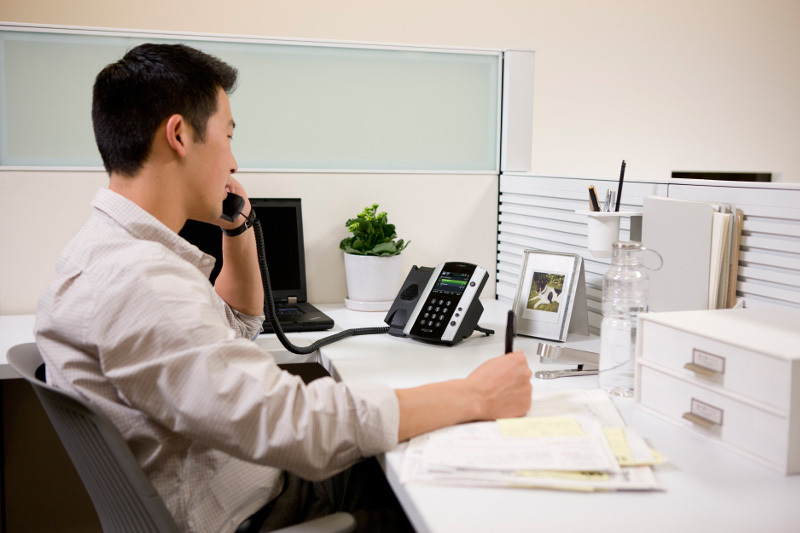 The business phone system allows you to have both without compromising your professionalism. Develop business apps, but only ensure you reach out to your customers using a flexible business phone system. This improves your credibility, eliminates fraud by guaranteeing secure communications and still saves your business money by cutting out unnecessary overheads in the name of phone bills and cross-border tariffs.